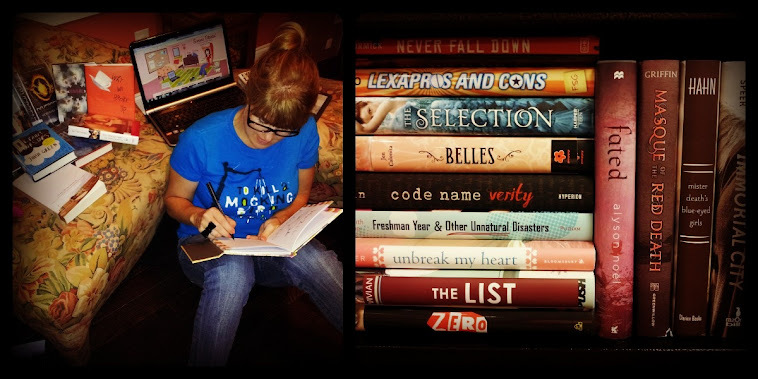 Sometimes we librarians read books that we know won’t have mass appeal but may be just the right book for just the right reader at a particular time. 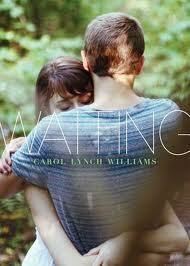 Meagan Brothers’ Supergirl Mixtapes and Carol Lynch Williams’ Waiting are two such books. 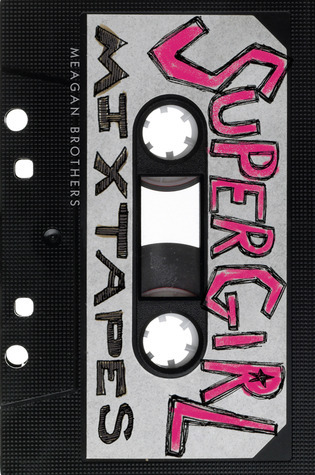 I was personally pumped for Supergirl Mixtapes because it’s set in the 90s, obviously has a music theme and involves a girl originally from South Carolina – the Gaffney peach even gets a shout-out! After some mysterious traumatic event, Maria Costello leaves her dad in the small town of Millville, SC to go live with her wild-child mom in New York City. Maria’s mom, an artist, left her and her dad several years back to move to NYC to pursue her art career…or so she intended. When Maria arrives, she finds her mom shacking up with a 22-year-old musician boyfriend, staying out all night at rock shows and clubs, and attending the occasional AA meeting. Not exactly what Maria was expecting. Worse, the kids at her new school are a bunch of stuck-up jerks who decide Maria’s the perfect punching bag, so she quickly starts skipping school every day to avoid the hassle. Maria’s escape is in the old school records her mother shares with her – Patti Smith, The Ramones, David Bowie – and the mixtapes her best friend Dory mails her from home – so-called ‘Supergirl Mixtapes’ because they feature the strong music babes of that era, like Sleater-Kinney, The Breeders, Liz Phair, Sonic Youth, PJ Harvey, Courtney Love, REM, Nirvana and Jeff Buckley (hey, Michael Stipe, Kurt Cobain and Jeff Buckley were in touch with their feminine sides!). 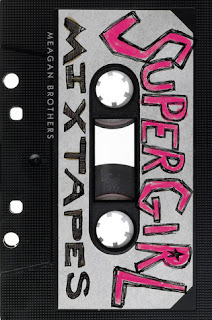 Supergirl Mixtapes should be awesome, but…it’s just too manufactured angst-y for me. There’s a suicide attempt, drug overdose, mental breakdown…ugh, so very rock ‘n’ roll cliché. I do know at least two students who will like the book because of all the music references, but other than that, the story itself doesn’t offer anything new or unusual. Meh. Lynch’s book The Chosen One, about a thirteen-year-old girl trapped in a polygamist cult, was one of my favorite reads from last year’s SCYABA list. Waiting is told in free verse, which makes for a quick read, and like The Chosen One – it will tear you up! London’s brother Zach kills himself at age sixteen, leaving his family devastated and destroyed. London’s dad is in total avoidance mode, while her mom is in total blame mode – and guess who catches most of the blame? Yep, London was the first one to get to Zach, so her mom dumps his death on her. As London walks in a daze through school and her home life, pushing away her old friends as well as potential new ones, Lynch gradually reveals what pushed Zach to the point that he would take his own life. The scene where she describes in minute detail exactly how Zach dies and London fails to save him is about as gut-wrenching a scene as I’ve ever read in a Y.A. lit. Lynch spares no horror, and your heart breaks for London and anyone who would have to witness a loved one die like that. While London eventually finds some measure of solace and acceptance, her family is far from healed. This is the kind of book you put in the hands of someone who has been through a tough loss themselves, and like Supergirl Mixtapes, I can think of one or two students who would be drawn to the story because of circumstances they’ve suffered in their own lives. Cool factoid – both Meagan Brothers and Carol Lynch Williams are originally from South Carolina. Home state pride, boos! You can read more about Brothers at http://us.macmillan.com/author/meaganbrothers and Lynch at http://www.carollynchwilliams.com/ .